If you listen closely enough, your hip can probably tell you when it’s time for a replacement. Confirming it requires an experienced specialist like the orthopedic surgeons at the Hartford HealthCare Bone & Joint Institute at Hartford Hospital, where 850 total hip replacement procedures are performed in a typical year. Keep that experience in mind: One study found that hospitals that do more than 200 hip replacements a year have significantly fewer complications than lower-volume hospitals. But always listen to your body. Does this sound like you? Constant pain in your hip. Pain in your hip that interferes with your sleep. Difficultly starting to walk when you rise from a chair. Months of treatment, coordinated by your primary care physician, has not relieved the steady pain. If so, talk to your doctor and evaluate whether hip replacement surgery is the next step. Your age, overall health and bone density – an increase in bone density, bony growths and cartilage degeneration at the hip are signs of osteoarthritis – are among the considerations. "We always want people to let their natural joints last as long as they can," says Dr. Mark Shekhman, an orthopedic surgeon at the Bone & Joint Institute, "because it’s better to have these surgeries when they’re older than when they’re younger. We want to reduce the number of surgeries they’ll need in their lifetime. It makes sense: An older person will need less surgeries." What's Causing the Pain in My Hip? Osteoarthritis: The most common chronic joint condition in the United States, and a main reason for most hip (and knee) replacements. Osteoarthritis breaks down cartilage, the protective tissue that allows bones to move smoothly over each other while acting as a shock absorber during physical movement. Without healthy cartilage, it’s bone on bone. This “wear and tear” type of arthritis becomes increasingly common as adults age. Rheumatoid arthritis: An autoimmune disease that produces inflammation, damaging cartilage and sometimes bone. 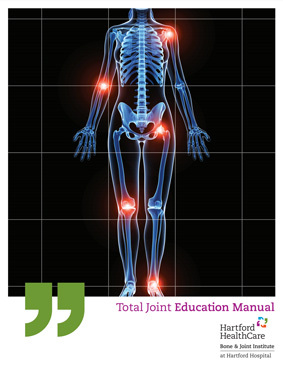 Traumatic arthritis: Joint damage related to an injury. Hip dysplasia: Bones around the hip joint did not form properly, which may cause misalignment of the hip joint. What Causes Degenerative Joint Disease? An aging population, and an increasing obesity rate, have contributed to a spike in hip replacement surgery in the United States. From 2000 to 2010, reports the Centers for Disease Control and Prevention, hip replacements increased from 138,700 to 310,800. That’s a rate of 257 per 100,000 in 2010, up from 142.2 per 100,000 people in 2000. The average age for hip replacement patients is dropping, from a little more than 66 years old in 200 to 64.9 in 2014. And it’s skewing even younger: the fastest-growing age group for hip replacement surgery is 55 to 64. The hip is a ball-and-socket joint, with the thigh bone (femur) as the ball that fits into the hip’s socket, called the acetabulum. Ligaments, tendons and muscles at the hip joint secure the ball and socket in place, preventing a dislocation. Total hip replacement: This procedure, also called total hip arthroplasty, replaces the femur (thighbone) head and acetabulum (socket) with a prosthetic joint. Here's why: It’s usually degenerative osteoarthritis. Partial hip replacement: This procedure, also called hip hemiarthroplasty, replaces the femoral head with a prosthetic, a metal ball that rotates in the socket. Here's why: It’s usually fractured hip bones. When severe hip arthritis has worn out protective cartilage, making everyday activities like walking both painful and difficult, it might be time to consider replacing your ball-and-socket joint. Once damaged cartilage is removed from the surface of the socket (acetabulum), your joint doctor inserts a new metal socket. To replicate the gliding effect of cartilage, a spacer – either polytheylene, metal or ceramic – is placed between the new ball and socket. Your doctor can now place the hip replacement in its final position, making sure it’s stable to avoid a possible dislocation or other complication. When choosing a surgeon for a total hip replacement, make sure you get the right person for the job. You should know how many hip replacement surgeries the doctor has performed, the results, any risks, the estimated recovery time and how involved the surgeon will be in your post-surgical care. Another important question: How will you reach my hip joint during surgery, from the back or from the front? There’s a difference you should know. Posterior: Most orthopedic surgeons use the posterior (back) approach because it provides the best visibility of the joint without cutting the hip abductor muscles, which helps maintain stability when walking. The incision, close to the buttocks, not only spares the abductor muscles but also allows accurate placement of the implant. But to reach the hip joint, the surgeon must cut through muscles and other soft tissue. Notably, the expansive soft tissue at the top of the outer thigh (fascia lata) and the attached gluteus maximus muscle are cut. Anterior: Though not new, the anterior approach has been adopted by more surgeons in the past 10-15 years. In this procedure, with the patient on his or her back, the surgeon makes the incision on the front of the thigh. From here, the surgeon can reach the hip joint by separating muscle tissue – no cutting through it. Some patients report a faster recovery when their doctor uses this technique. When you’re ready for hip replacement surgery, however, don’t start shopping for a surgical technique. Look for the best surgeon, someone with extensive experience and a demonstrable success rate. A study presented at the American Academy of Orthopaedic Surgeons’ annual meeting in 2016 found no substantial difference in outcomes for the patient, regardless of surgical technique, in procedures performed by experienced, proficient surgeons. If you’re having constant pain, trouble sleeping and difficulty starting to walk when rising from a chair, you’re probably ready to consider hip replacement surgery. Your hip surgeon will show you the most advanced hip replacement options for your needs, listen to your concerns, and always focus on your safety. The precision diagnostics at the Bone & Joint Institute help our hip surgeons know what to expect even before surgery begins, and how complex procedures must be for optimal treatment of damaged hip joints. They are supported by specialized, fellowship trained musculoskeletal radiologists and maximum quality imaging using advanced CT scans and MRIs. Robotic surgery might be best, and we are the first Greater Hartford Area hospital to offer Mako Robotic-Arm Assisted Surgery for total hip replacement procedures. Mako offers accuracy within millimeters in cup placement and leg length restoration. The Bone & Joint Institute is also one of the few Northeast hospitals where active younger adults with strong bone quality can be considered for hip resurfacing alternatives to total hip replacement. Our unique PREPARE program educates you completely about what to expect before, during and after your hip replacement surgery. You’ll have a thorough pre-anesthesia risk evaluation, plenty of time for questions, and all the individualized care and attention you need. During your hip surgery, our team of orthopedic anesthesiologists uses specialized regional anesthesia techniques to reduce pain without making your hips and legs numb after surgery. You get back on your feet more quickly and start working on physical therapy right away so you can get home faster. With the largest network of integrated rehabilitation services, the physical therapy you start in the hospital continues seamlessly at a convenient outpatient therapy site near home. Ensuring the highest standards of medicine by committing to keeping you informed, and helping you become an active partner in your healthcare.